First and foremost, the basics. When looking at individual investment returns it is important to remember one of the tenets of Modern Portfolio Theory: diversification. Any individual investment can have an outsized return or loss, but looking across the entire asset class provides a good lens into the strength of the asset class and its value in your portfolio mix. Diversification is one of the reasons EquityZen was founded: to provide private company shareholders and investors a way to diversify their holdings and investments. No longer does an employee at a private tech company need to keep 90% of their net worth tied to an illiquid stock. On the other hand, investors can access a new alternative asset class typically unattainable to individual investors and further diversify their portfolio. Our asset class is late-stage private technology companies, otherwise known as "pre-IPO." This means that the majority of investment opportunities on our platform are companies that have received institutional financing from late-stage or growth funds and that they typically have an investment horizon of 2-5 years. EquityZen was founded almost exactly 5 years ago. Couple that with a wide IPO window these days and we're lucky to have seen a flurry of exits in the past 12 months. Spoiler alert: not all of these exits have been blockbuster hits. On the bright side, on average our investors have seen very positive returns over the past 12 months, continuing to prove that this is a viable asset class worthy of allocation in your portfolio. 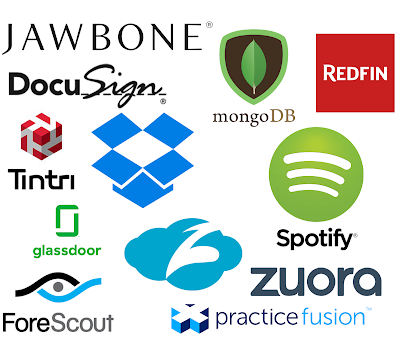 In the past year, EquityZen has seen 11 portfolio companies exit: 8 IPOs and 3 acquisitions. As shown in the below graphic, three of these companies have underperformed for us and our investors. The other eight have generally performed well post-IPO or through their acquisition. I am keeping the math simple here, as many of our funds invested at various times and price points across these companies, and investors may have sold at varying prices once the publicly traded shares were distributed to them. The weighted average return across these 11 companies would be 107.5% including any fees that EquityZen received. Furthermore, only three of the companies lost money for our investors and these three companies represented just 7% of the transaction volume that exited in the past year. Nearly a 30% failure rate may seem pretty high, but it pales in comparison to the 70% of startups that raise a seed round and go on to either shutter or never experience an exit event. In the following graph, the trailing twelve-month exit returns are shown for each individual deal conducted in each exited company. Said differently, we had 43 deals across the 11 companies that experienced an exit. The range of returns is in line with what one might expect for aggressive, high-growth tech investing: some investors lost their full commitment (-100%) while others more than tripled their money (200%+). Though certainly not without its share of disappointments, we are incredibly proud to have delivered an overwhelmingly positive return to our investors broadly and to continue to develop this market for all participants. The data from our first batch of exits appears to give credence to our thesis: there are returns to be had in the private markets that investors may miss out on if focusing entirely on the public markets. And while the returns may not be the home runs that venture capital firms like Lightspeed Ventures and Sequoia hit, we're happy to provide a platform of singles, doubles, and triples for those seeking a more calculated high-risk investment. This is why EquityZen was started in the first place. We feel strongly that this asset class is an important member of the alternative investment bucket, can help diversify and balance a portfolio, and can provide returns uncorrelated to other markets. The same holds true for our sellers, who have the ability to achieve early liquidity, lock in gains, and further diversify their net worth. With less than half of the year under our belt, we're excited with what's in store for both the public and private markets for the rest of 2018 and beyond. Special thanks to Ketan Bhalla, Asa Lieberman, and Catherine Klinchuch for research and edits provided for this post.